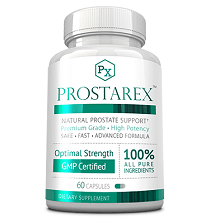 The good news is that products like Olympian Labs ProsPlex that can eliminate the symptoms of an England prostate and improve prostate health. You just need to find one that utilizes the right components that is best for you. The manufacturer recommends taking two (2) capsules daily, on an empty stomach, with a full glass of water, or as directed by a healthcare professional. The manufacturer cautions that if you are pregnant or nursing, have a medical condition, or are taking medications, consult your healthcare professional before using this product. Internet pricing may vary from website to website. At the time of writing this review this product was found at a price of $18.39 for a bottle of 60 capsules, which under the suggested use should last about one month. 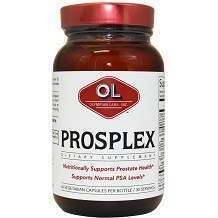 There is no guarantee for this product and furthermore, it has no FDA clearance.